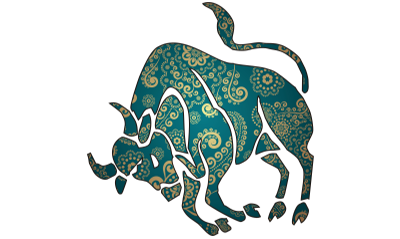 Taurus the second sign in the Zodiac symbolizes The Bull They are most practical and reliable members of the Zodiac. They happily plod along to the finish line and reap rewards. They prefer to take each day as it comes and work towards their ultimate goal. Their strength is in their stability loyalty and dogged determination. They want to get the job done and they will. Taurus is sentimental in both love and romance. They romance once and that is unlikely to die even when they settle down to the routines of married life. They enjoy spending time with loved ones and are especially drawn towards children.